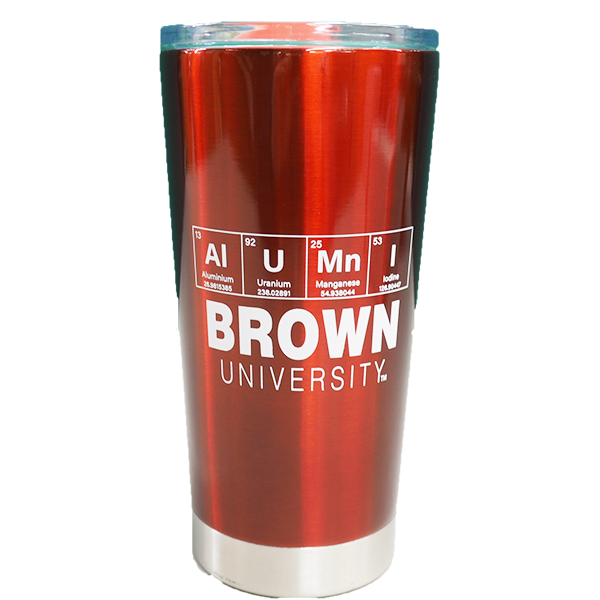 A great gift for grads and incoming Brunonians! Founded in 1636, essentially as a refuge for outcasts from Massachusetts, Rhode Island emerged as perhaps the most open-minded of the colonies, emphasizing freedom of conscience and religious tolerance. Only such a place could produce a university as unorthodox as Brown and, in 1764, it did. The seventh-oldest college in the United States, Brown has followed its own course ever since it was founded as Rhode Island College. Building on its forward-thinking legacy, in 1969 the university adopted the student-proposed “New Curriculum,” which allowed students to structure their education with remarkable freedom, and continues as the Open Curriculum to this day. Over the last two and a half centuries, the university and its graduates have played a notable role in numerous defining moments in the American story, including the legacy of slavery (one of the Brown brothers was a leading abolitionist, the other an “ardent defender and slave trader”), the Industrial Revolution, and education reform. Although there are plenty of prominent alumni mentioned—among them Horace Mann, John D. Rockefeller Jr., Richard Holbrooke, Janet Yellen, and Edwidge Danticat—Widmer’s is a more ambitious account that weaves its threads into a variegated history of how a university can both mirror and spur the wider culture around it. 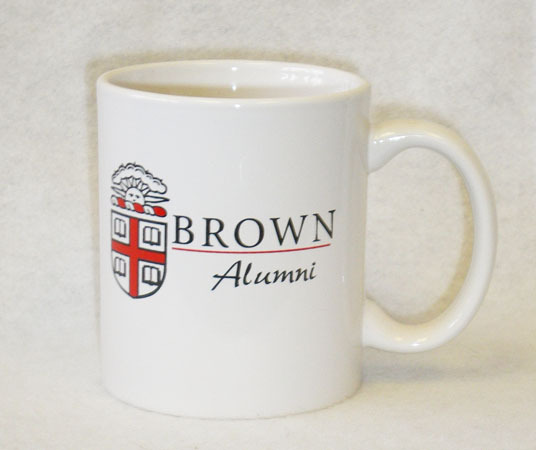 Ted Widmer served as the Assistant to the President for Special Projects at Brown University and the Beatrice and Julio Mario Santo Domingo Director and Librarian of the John Carter Brown Library. From 2012 to 2013, he also served as a senior adviser to Secretary of State Clinton. He has written or edited many works of history, including Ark of the Liberties and American Speeches (Library of America). 0 - tink | knit Handmade Collection -Support a social cause! Shop the tink | knit collection! tink | knit is training the moms to knit. Pre-orders will be held and processed when they are knitted. tink l knit handmade products - Help support a social cause! “tink | knit” is a student-run social venture that creates an economic opportunity for low-income single mothers through knitting. For every product we sell, at least 50% of sale price goes directly back to the knitter, while all profit is reinvested to improve their lives through skill-based workshops, resources and community events. Your contribution allows the mothers to work from home and care for their children, while you enjoy a cozy, beautiful product! Choose from hats, scarves, and cup cozies. 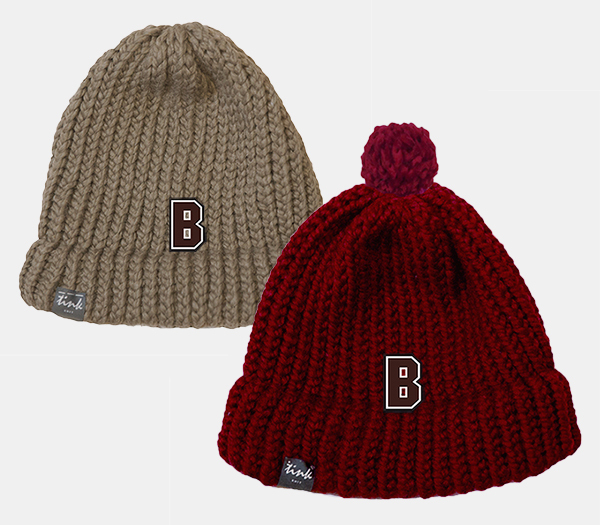 --Each hat and scarf will have an inner label hand signed by the moms and with your name on it. --As tink knit products are handmade, delivery will be within 1-2 weeks. 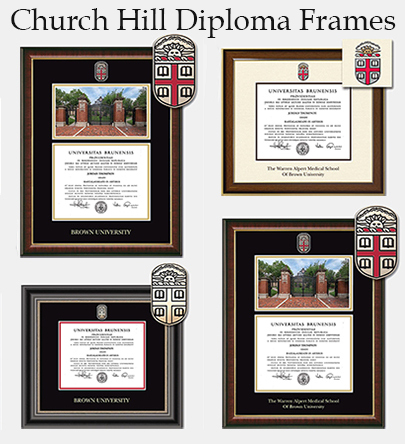 Church Hill diploma frames celebrate your achievement and make a memorable gift. --High-quality expertly crafted frames are custom-made in the USA. --Museum-quality matting and mounting materials to protect your diploma. --Removable back to easily insert your diploma. Church Hill guarantees you'll love their frames! Frames are ordered directly from manufacturer and drop shipped to your requested delivery site (whether home, business or in store) for a flat rate of $20.95 within the USA. International fees vary and will be communicated to you separately for pre-approval. 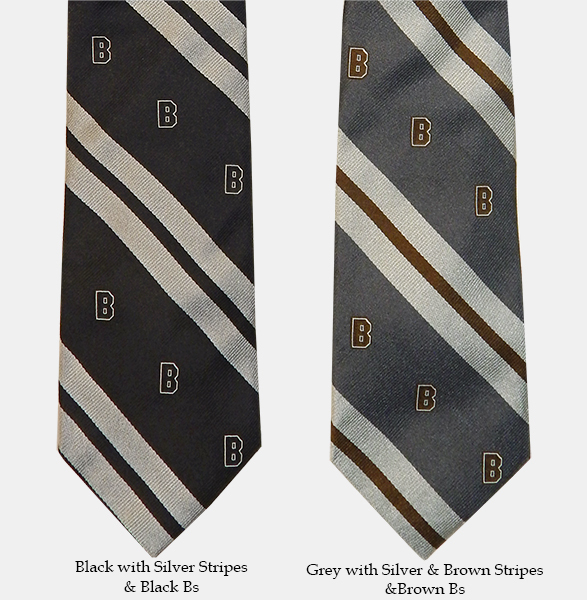 Through the generosity of Mark Cho '05, the proceeds from the sale of these ties will support Financial Aid at Brown. Drake's of London English Handmade 100% silk ties created exclusively for Brown. --Drawing on their rich heritage and carefully adhering to the traditions of craftmanship built up over thirty years of striving for excellence, their mericulous attention to detail is never compromised and they are proud to create the totally authentic, ultimate English handmade tie. Please select option for 1 - Drake's of London Silk Bow Ties - $125. 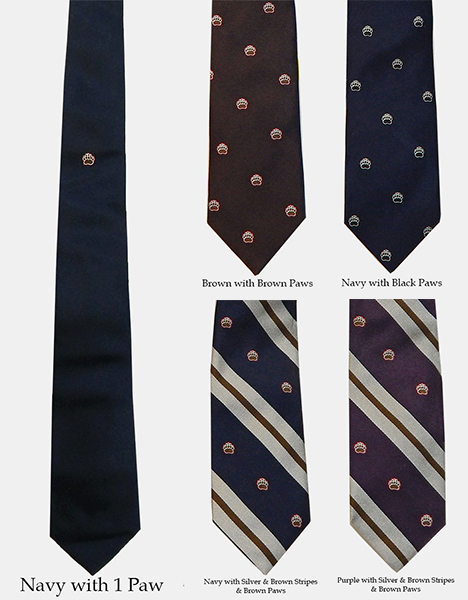 Please select option for 1 - Drake's of London Silk Paw Ties - $145. 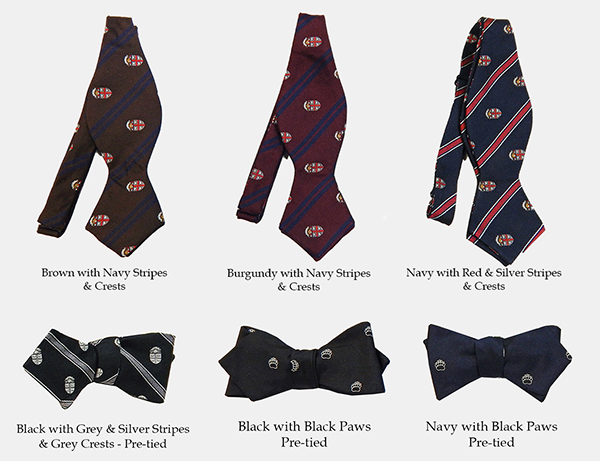 Please select option for 1 - Drake's of London Silk Striped Ties with Bs - $145. 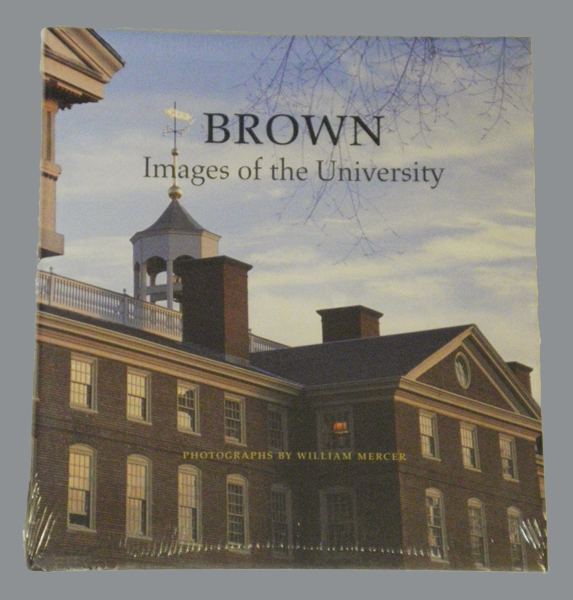 8" x 10" prints with cream border has 'BROWN UNIVERSITY' imprinted in black on bottom and are signed by Mark Waitkus (not shown) and have 11" x 14" white mattes. --Choice of: Brown Stadium, Carrie Tower & Robinson Hall, Van Wickle Gates, and Van Wickle Gates in the Fall. 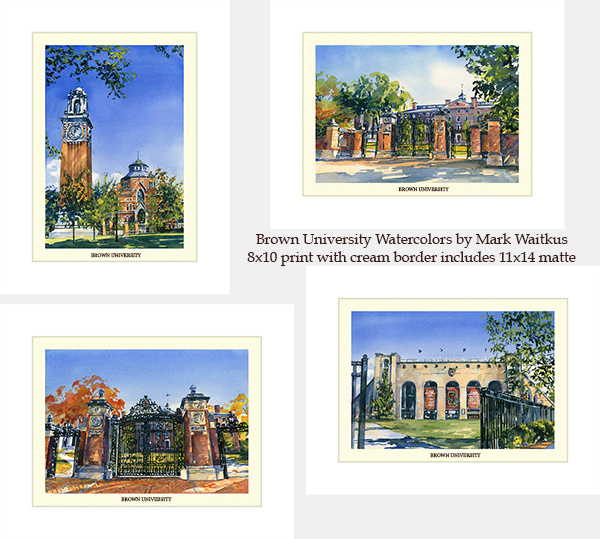 Please select option for 1 - Prints - Brown University Watercolors by Mark Waitkus. The Brown University Book Award is awarded to an outstanding high school or preparatory school junior who best combines academic excellence with clarity in written and spoken expression. This year (2018-2019) the Brown University Book Award will be The Human Instinct: How We Evolved to Have Reason, Consciousness, and Free Will by Kenneth R. Miller '70, Brown University Professor of Biology, Royce Family Professor for Teaching Excellence. In The Human Instinct, Kenneth Miller rejects the idea that our biological heritage means that human thought, action, and imagination are predetermined, describing instead the trajectory that ultimately gave us reason, consciousness and free will. Equal parts natural science and philosophy, The Human Instinct is a moving and powerful celebration of what it means to be human. 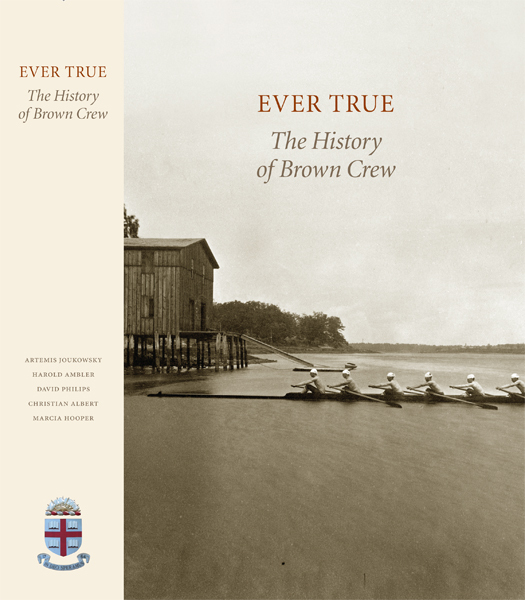 The Brown University Book Award is one price, $35.95, which includes shipping and handling. --Please put the name of the school(s) you are renewing in the pop-up form. --If more than 3 schools, please note in ORDER COMMENTS at checkout. --If more than 3 school(s), please note in ORDER COMMENTS at checkout. Thank you for sponsoring a Brown University Book Award. 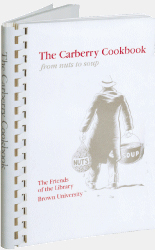 For more information, please go to our Brown University Book Award page. Brown sash with red, white, and black stitched Seal patch embroidered on the lower-right side and 'BROWN' embroidered in red down the lower-left side. 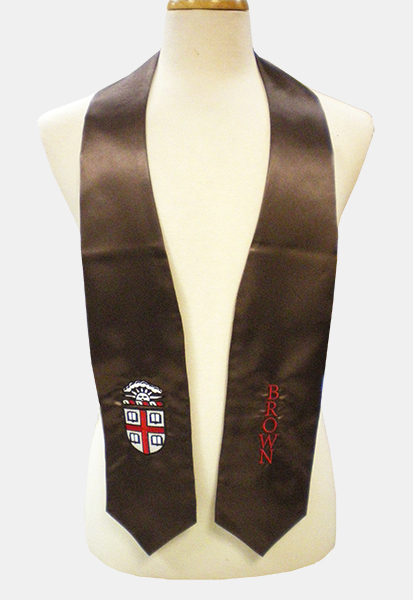 --Wear your Brown sash to complement your Brown University academic regalia. Solid brass license plate frame with maroon and brown trim. 'ALUMNI' in brass on maroon background at top of plate. 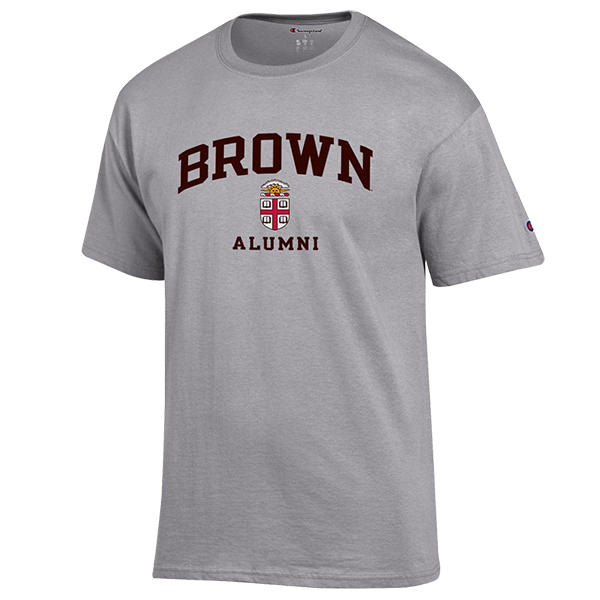 Color Seal on brown background on bottom left and 'BROWN UNIVERSITY' in brass on maroon background on bottom right. 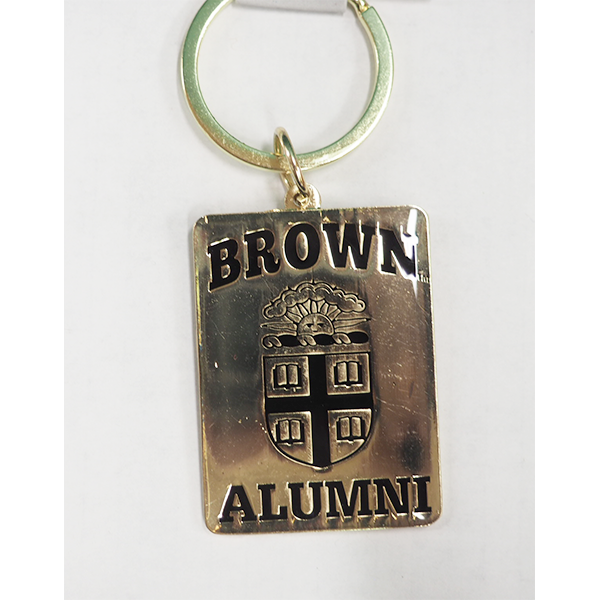 "Founded in 1764 as the College of Rhode Island in the town of Warren, Brown University was the seventh in a series of Colonial higher learning institutions that now comprise the Ivy League. The university moved to its current spot overlooking Providence on College Hill in 1770 and was renamed in 1804 in recognition of a $5,000 gift from prominent businessman and alum Nicholas Brown. Today the Brown campus, consisting of 235 buildings on 143 acres is a tapestry of American architectural styles from pre-Colonial to modern. In Brown University, the newest volume in our acclaimed Campus Guide series, Class of '62 alumnus Raymond P. Rhinehart takes readers on nine architectural walks to more than one hundred campus landmarks—from the red-bricked University Hall (1770) to the new state-of-the-art Warren Alpert Medical School (2001). With students, alumni, and visitors in mind, the guide showcases the role that Brown has played in the history of campus architecture and the developing urban fabric of Providence." $1.00 extra handling fee for larger/heavier books. 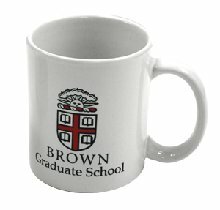 Brownopoly - Created by Brown Students! 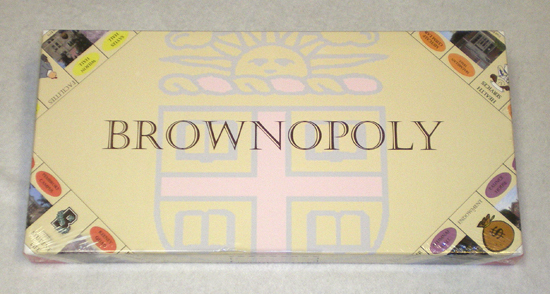 Brownopoly was created by Brown students to give Brown students, Alumni, Faculty, and friends of the institution a game that can be enjoyed by all. 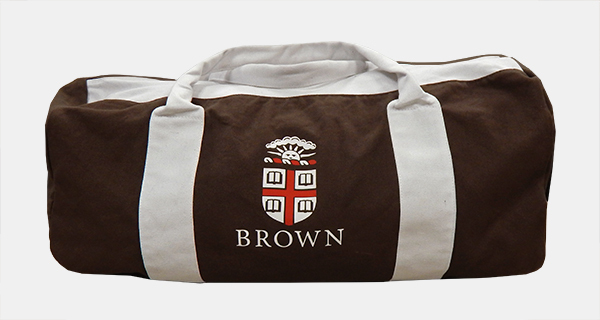 It gives you the opportunity to take home a game that encompasses many familiar places on campus and is sure to trigger memories associated with their time at Brown University. Pewter game pieces including the bear mascot. 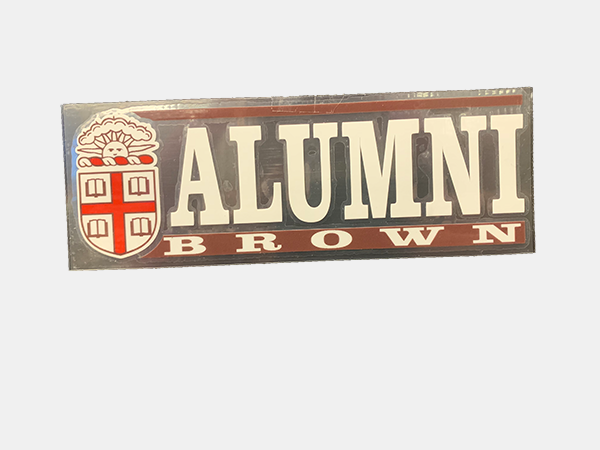 After 64 years the 1950 Brown University Campion Scarf is back! 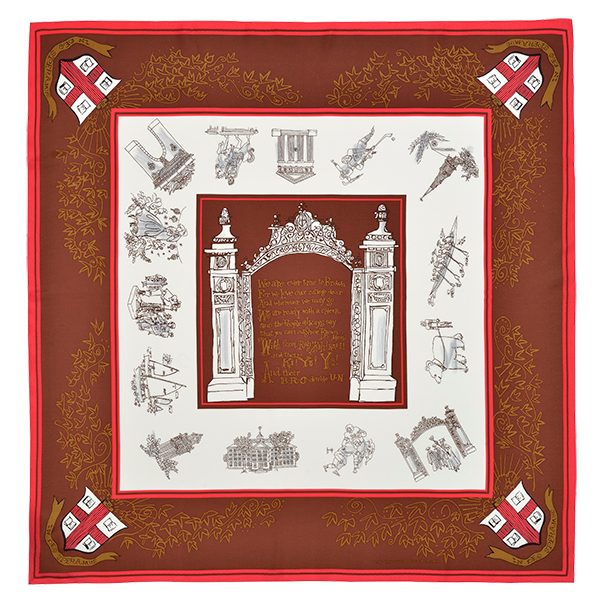 The James Campion Co. from Hanover, NH originally manufactured this Ivy League scarf in 1950--before there was an official Ivy League. The graphic artist and the silk screen printer have been lost to history, but Legacy Scarves, LLC and the Bookstore have put "Big Jim" Campion's marvelous 90cm x 90cm Brown scarf back into print on 14mm silk. With their Rah! Rah! Rah! And their Ki! Yi! Yi! Please select option for Champion Alumni Tee. 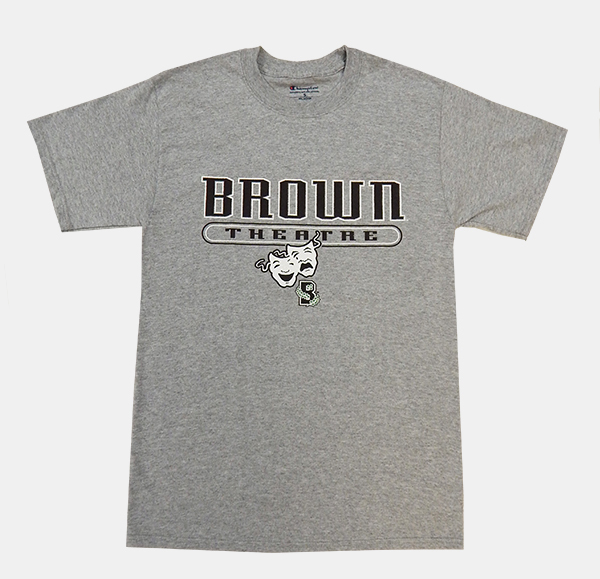 Champion 90% cotton, 10% polyester, grey tee with 'BROWN' imprinted in dark brown with white outline above 'THEATRE' in dark brown with white and dark brown outlined ovals above comedy and tragedy masks in white and dark brown with dark brown outline above dark brown 'B' with white and dark brown outlines entwined with green ivy with white outline. Please select option for Champion Grey Theatre Tee - $21.99. Champion 100% cotton white tee with 'PEMBROKE' imprinted in gold above Pembroke Seal in gold, brown, red, white, and black. Pembroke Seal: Seal in maroon, white, and black with '1764' and 'BROWN' above it and 'IN DEO SPERAMUS' below it surrounded by 'PEMBROKE COLLEGE IN BROWN UNIVERSITY' in brown on gold. Please select option for Champion White Pembroke Tee - $29.99. 6.5" x 2.25"outside mount for tinted windows w/peel-off application sheet. If only ordering decals, you have the option of 1st Class Mail for $3.00.--Put 'Mail for $3.00' in Order Comments. 4.25" x 3.5", clear, for inside application. The new edition, available now, includes indispensable corrections, exciting new additions, and the 2009 season of the men's and women's programs. The first edition is out of print. Please contact the Sports Foundation at (401)863-1900 or [email protected] if you have any questions. $1.00 additional handling fee for larger/heavier books. 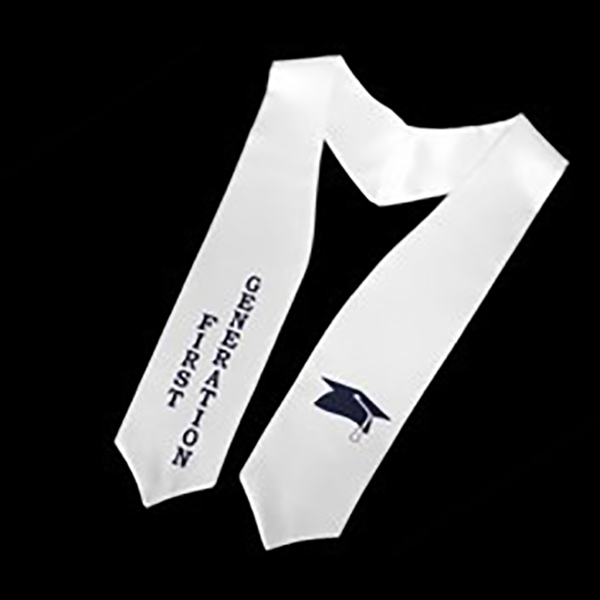 White sash with "First Generation" imprinted on right side and image of cap and tassel on right side. 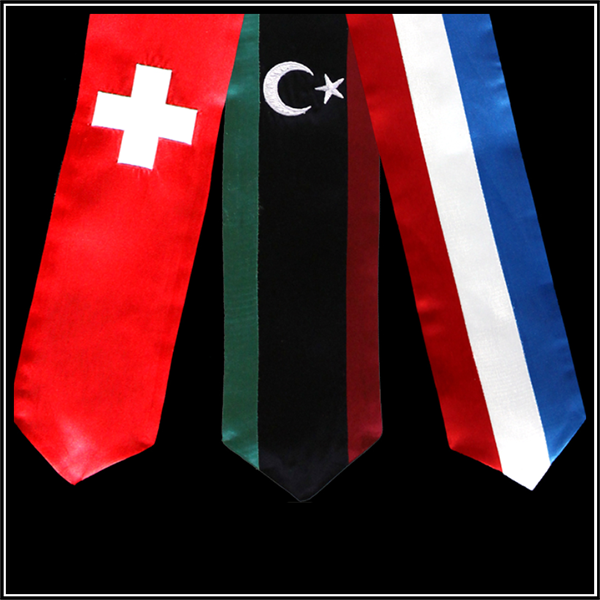 Show off your national pride with a sash embroidered in your home country's flag design. International Sashes must be Picked-Up In Store. LAMOU™ AMS End Table has 'BROWN' digitally printed in black above grey, cardinal, black, white, and gold Crest above 'ALPERT' in black above 'MEDICAL SCHOOL' in black. LAMOU™ Tables are made of Birch plywood with a digitally printed wood surface. The surface is sealed with a protective coating. The hairpin legs are powder coated steel and are easy to assemble to the pre-drilled underside. Screws and instructions are included. All tables are delivered flat packed. All LAMOU™ tables are shipped from the manufacturer; price includes shipping fee; Please allow 2-3 weeks for delivery. Architects Lena Georas, Brown '81, and Ann Clark founded LAMOU™ in 2015 in Providence, R.I. LAMOU™ offers custom digital printing on wood tables. Stay tuned for the May 2016 launch of LAMOU™'s website. Please select option for LAMOU™ AMS End Table - 15x15 or 20x20. LAMOU™ AMS End Table has 'BROWN' digitally printed in black above grey, cardinal, black, white, and gold Crest above 'ALPERT' in black above 'MEDICAL SCHOOL' in black. Personalization printed under design in black. --Flat fee of $30 - Included in price shown in cart. --Enter personalization in pop-up form after adding to cart. Once you place your order for a personalized table, you will have 24 hours to make any final changes at no charge. After that time period, a $45 fee will be charged for EACH revision. To avoid any additional charges, please review your order carefully when order is placed. Once your order is placed, LAMOU™ Design will email you a proof to approve before the table is put into production. 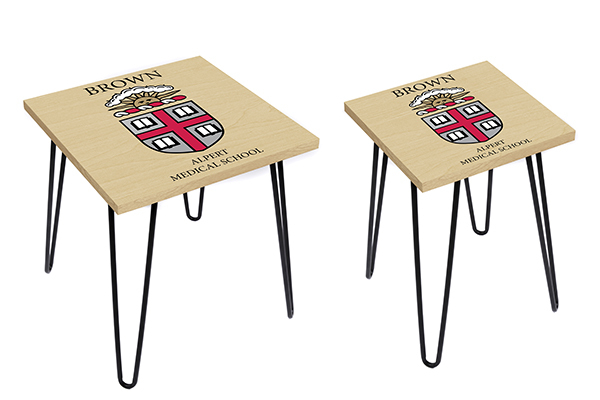 Please select option for LAMOU™ AMS End Table-15x15 or 20x20 - Personalized.